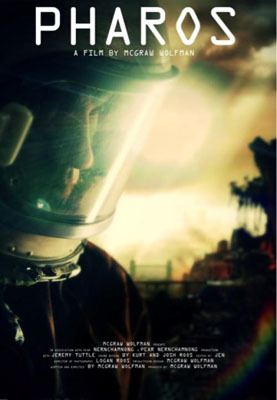 An astronaut stranded on a now dead Earth struggles with his sanity and a botched mission to initiate a mechanism that will cleanse the atmosphere. Synopsis: Astronaut Phoenix Grissom, is apart of a specialized team of astronauts called ARC Light. He is alone on a mission that might kill him. A mission that involves saving the earth. Phoenix has an objective to procure a component that will initiate the mechanism known as the Beacon. Once initiated the Beacon will emit an energy that will clean the atmosphere. However, Phoenix has begun to show signs of dementia and possibly schizophrenia that have led him to believe something has killed the rest of his crew. Something that hunts him every time he leaves his shelter in pursuit of finding that final component. The only things that keep him sane are the visions of his past love who has now perished and the nostalgic feeling of viewing old films. After drifting into a nasty nightmare. After receiving the coordinates to the component, Phoenix realizes he must venture out again.